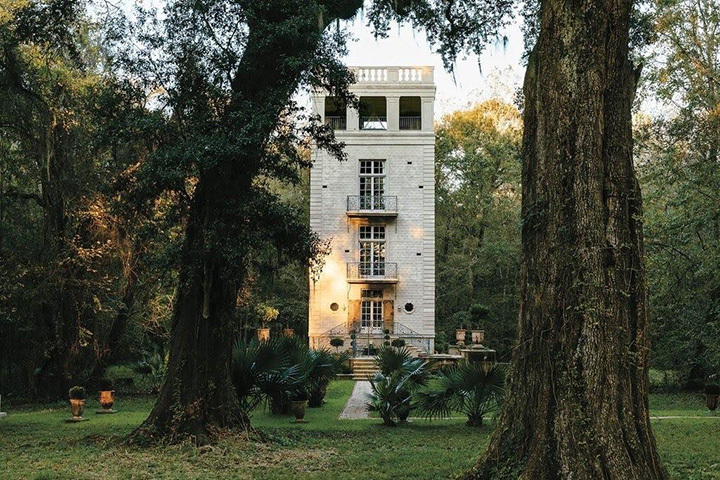 This five-story home in Breaux Bridge, Louisiana, is one of the most beautiful homes we've ever seen. 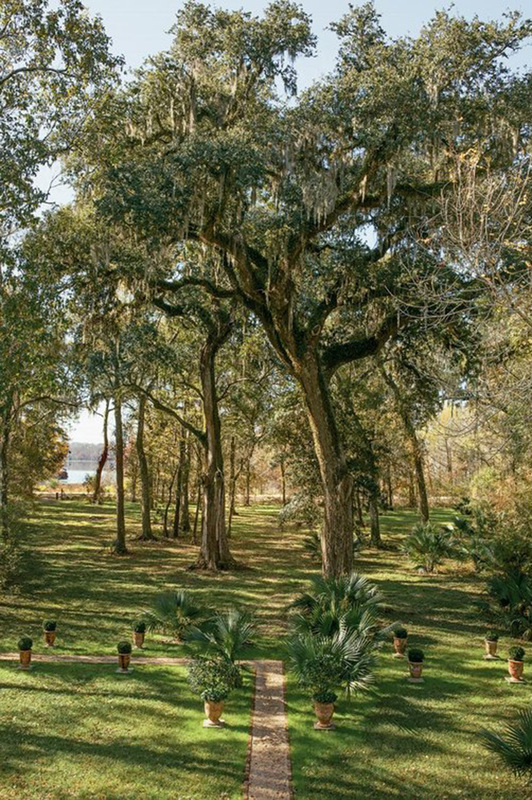 The house sits on a 14 acre lot filled with giant live oak trees. It stands at 66 feet high and even has a moat. 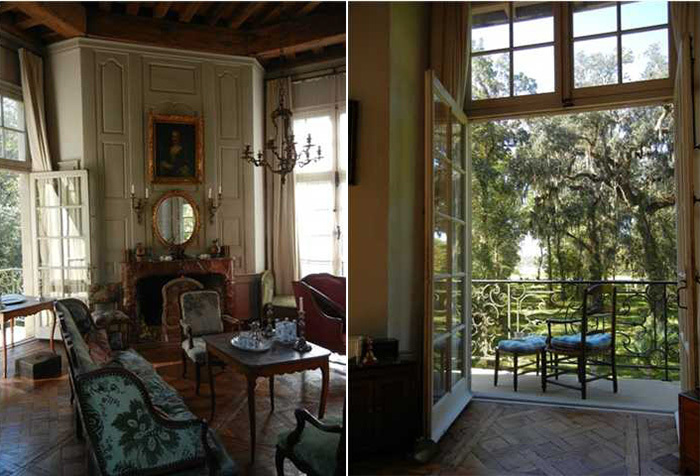 Each floor is one large octagonal room and a wooden spiral staircase takes you from floor to floor. The symmetrical home opens to a formal dining room, living area and kitchen, while the second and third floors each feature a bedroom suite. 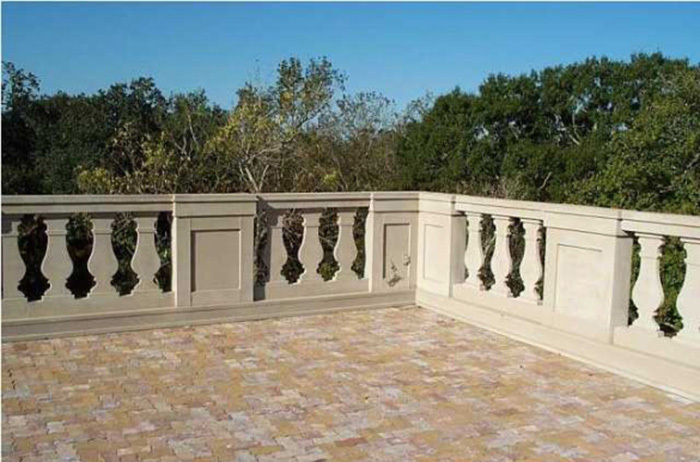 A fourth-floor terrace and fifth-floor rooftop patio cap off the impressive structure. In 2012, the home was actually on the market for $6.83 million, but was taken off the market later that year. 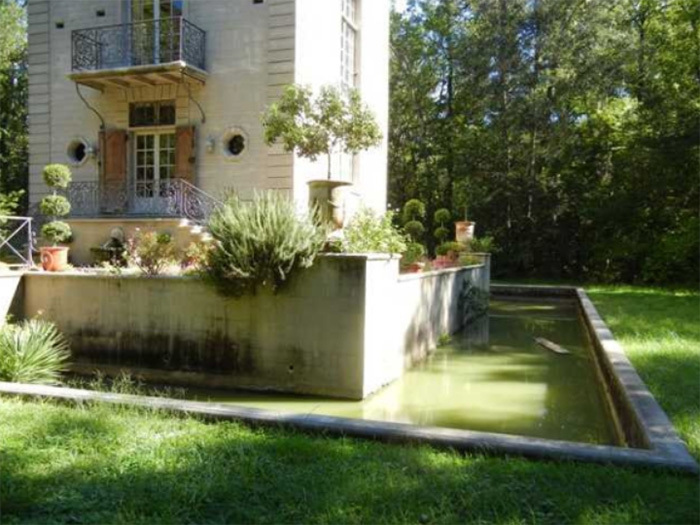 And somebody should tell them that blue-green algae is a health hazard.. I doubt any fish could live well in that 'moat'. If I could get to the top floor I'd have Nose bleeds ! You hit the nail on the head. Louisiana is a beautiful state...wonderful. And that architecture is beautiful. But all that came to mind when I saw the moss on those cypress trees, was slapping my forearm from sooo many mosquitoe bites. Ehhh...and that open air bedroom is a dining hall for the little buggers! That's why they have that mozzie net hanging above the bed..
Wolf, that’s exactly what I said! It is a beautiful-looking home though. 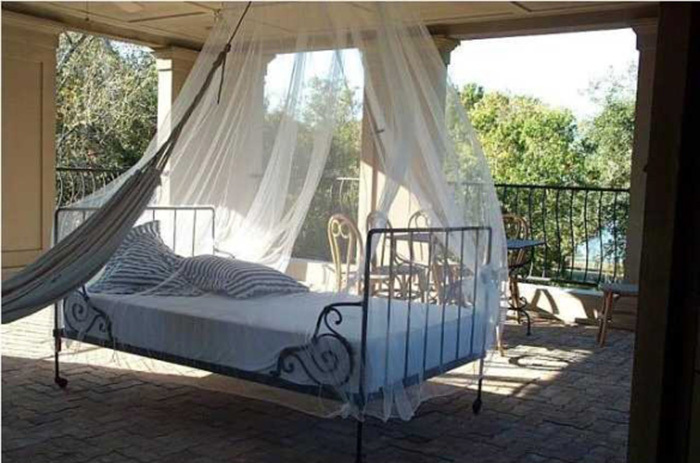 Gorgeous wooden floor tiles, canopied bed, hammock. Just BEAUTIFUL. Great find! 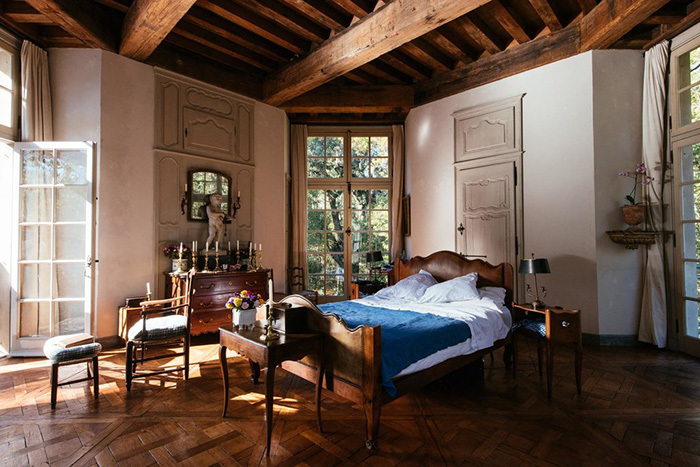 Jules wrote: Gorgeous wooden floor tiles, canopied bed, hammock. Just BEAUTIFUL. Great find! The S.E. corner of Queensland and the 'Northern Rivers' region of NSW have a similare climate to Louisiana, South Carolina and Florida. Beautiful weather (apart from occasional cyclones..) from Autumn through to Spring -- but their long, wet (and mozzie-ridden) summers can be a real drag..